Sittella Margaret River Berns reserve has been our main stay premium red since 2003. It is our family’s dedication to making the best quality wine each year, and only the best barrels make there way into this blend. Tasting notes: Intense Cabernet Sauvignon varietal characters accompanied by depth and concentration of rich opulence that typifies this wine. This wine will benefit from long cellaring and was made with the upmost care and dedication to excellence. Food Pairing: Pairs best with either oxtail, roast lamb and mint sauce or roasted pork shoulder with a side of huckleberry sauce. Better to serve these dishes with the Cabernet in its first 5 years, softer more delicate dishes are more desirable as the wine ages. Focussed and fine, the palate is medium in body and delicately textured with red cherries and ripe mulberries. 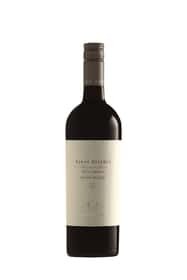 Black olive, dried sage and coffee bean presents elegant layers, which are woven together with a minerally acid line and chalky structural tannin.